The political lobby group, 1Law4All commends A House Divided, the report released this week by the Independent Constitutional Review Panel (ICRP). There were 1200 submissions to the report commissioned by the ICRP, led by Dr. Muriel Newman, and made up of a distinguished board of academics and researchers from both NZ and abroad – Elizabeth Rata, Martin Devlin, James Allan, Mike Butler and David Round. 1Law4All was founded in April 2013 and is dedicated to the principle of fairness and legal equality for all New Zealanders. ‘We want every child born in this beautiful country to have equal opportunity, whatever their skin, blood or ethnicity,’ said Tom Johnson. ‘The separatist agenda being pursued by radical elements is unnecessarily creating a divided society. 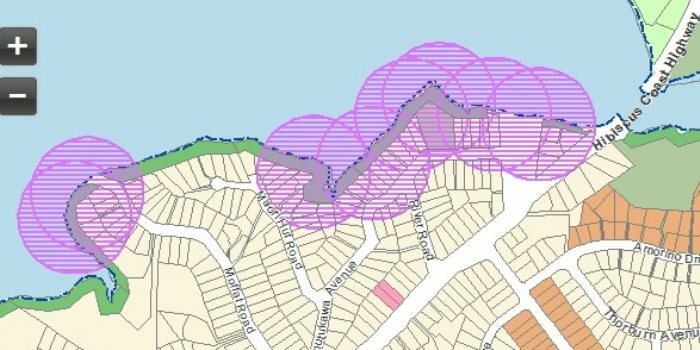 The Auckland Council has placed Purple Dots over many Orewa Estuary properties, impacting all land touched by them or within a 50m radius. There are 3,600 of these dots with (the potential for many more) now undermining property security and values across Auckland, thanks to the Council’s Unitary Plan. The dots give power to local tribal elite to decide whether that property is of value to them. They give iwi control over what happens on the property, along with the potential to charge for consultation. Local resident, John Stewart and 1Law4All (a lobby group fighting to retain legal equality amongst Kiwis) asks what possible grounds could there be for imposing these dots on the Orewa Estuary properties? • The inter-tribal wars in the 18th and early 19th century had eliminated or frightened-off most, if not all, Maori from the local area. • Orewa was part of a large land purchase by the Crown in 1874, called The Mahurangi Purchase. This was a wide strip of coastal land from Te Arai right down to Takapuna. The Sale and Payment is well recorded in a Turton Deed. So from 1874, Maori had no particular interest in the area. • Most of the land was distributed by Crown Grants in the later 1800s to farming settlers. Orewa land was granted to a John Moffat and Moffat Farm existed until subdivision in the early 1950s. Many of John Moffat’s descendants live locally. 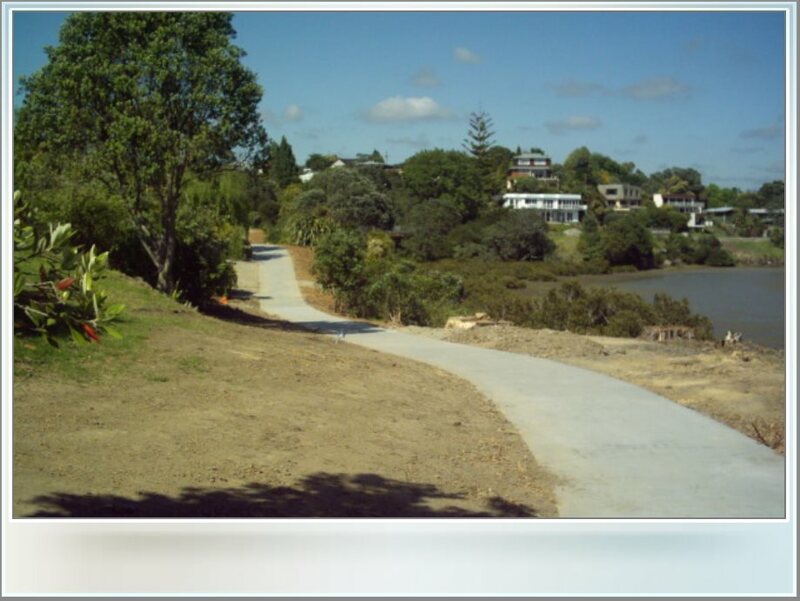 • Since subdivision, there’s been a 20m Esplanade Reserve along the river. 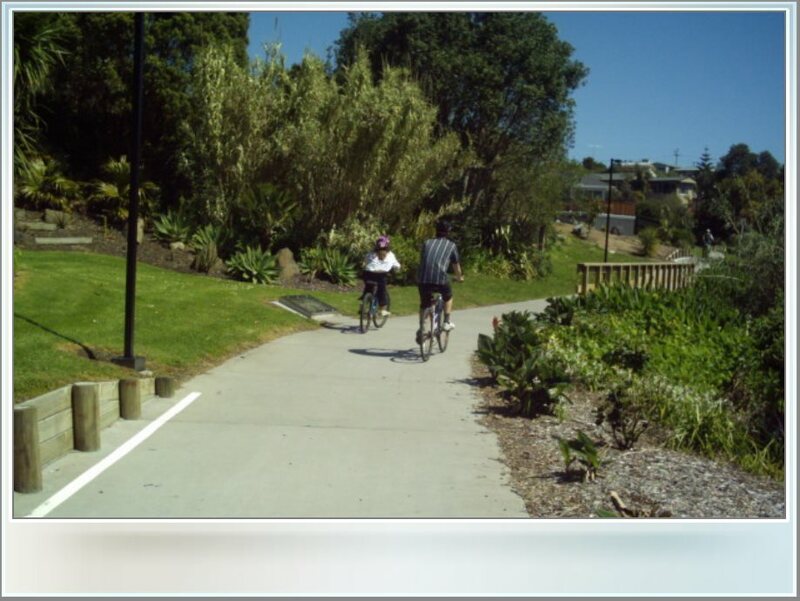 It was left in its natural state until the 7.6km, 2m-wide concrete cycle/walkway was developed a few years ago. A couple of pipi or cockle shells rubbish areas have been glassed-over, to the bemusement of any curious passersby. So the area had animals farmed on it for 75 years, the public have enjoyed various recreations there for the last 63 years, and the area has been completely bulldozed at various times for development. It seems a bit late and a bit ludicrous to start imposing archeological controls now. It is certainly very wrong to impose onerous designations on surrounding private properties. “The Government’s initial announcement on the Constitutional Advisory Panel’s final report suggest it may delay introducing any more racist policies for the moment. At least this is the hope of 1Law4All – a lobby group fighting to retain legal equality amongst Kiwis. “Although there could easily be a plan to slip unpalatable announcements out while people are distracted by the holiday season,” said Mr Johnson, President of 1Law4All. “Pita Sharples certainly indicates he’s still aiming for greater privileges for those of part-Maori descendent. “The Constitutional Review and its terms of reference were flawed and extremely biased with consultation largely focusing on iwi. “We hope John Key has picked up on the vibe that Kiwis are tired of divisive policies promoting racial separatism and supremacy. Election year would be a very bad time to introduce any more discriminatory practices. We need them to end so all Kiwis can enjoy equality in law. 1Law4All wants to ensure the equality of all New Zealanders before the law – regardless of their race, ethnicity, culture or religion. This is the foundation stone of a healthy democracy. A new political party, 1Law4All, has been founded. The party wants all New Zealanders to be treated equally at law and in government funding, regardless of race. 1Law4All has evolved from a steering committee of concerned citizens who see no end to the government’s granting ever more superior rights, and special funding to part-Maoris, based on their race. The steering committee is made up of previous financial and active members of ACT, Green, Labour, Libertarianz, National and other parties. For the next few months, the 1Law4All party will be concentrating on a membership drive. The leadership team will be announced later, and the Party expects to take List votes from both National and Labour. The 1Law4All Party is already enjoying considerable support from people who are fed up with the way that the National Party has betrayed the rights of the public – especially over the foreshore and seabed – in order to buy the parliamentary votes of the Maori Party. It intends to outline the damage that Treaty Minister Finlayson is doing to the sovereignty and unity of the nation by his “co-governance” agreements with his favoured tribes, like Tuhoe. The 1Law4All Party is also gaining good support from people who are fed up with Labour’s support of rampant Treatyism. Especially those “blue collar workers” who do not like the way that they are being made second class citizens in their own country. Something that is even enshrined in the Labour Party’s Constitution. 1Law4All’s position is that the Treaty of Waitangi signed at Waitangi on 6 February 1840 gave no special rights to Maoris that other British subjects don’t also enjoy. Further, that the “principles” and “partnership” so often bandied about are nothing more than figments of political and judicial imagination. No such things are mentioned in the Treaty that was signed at Waitangi. Among the 1Law4All Party’s policies is the abolition of the Waitangi Tribunal; the abolition of separate Maori electorate parliamentary seats; and the repeal of National’s notorious Marine and Coastal Area Act. This Act took the beaches out of public ownership so that part-Maori tribes can claim them and, by means of “wahi tapu,” exclude others from various coastal areas.